For those keeping score at home, four housing developments have been deemed eligible by the city’s downtown development department for the revamped Center City Housing Incentive Policy (CCHIP). Since its inception in 2012, the program has always offered tax rebates, and waivers on SAWS and city development fees, among other so-called carrots. But it’s gone through a few revisions. The latest, which was passed by City Council in December after the program was suspended for a year, offers essentially the same types of incentives, but with a bent toward the production of more affordable housing. Two weeks ago, the city’s Center City Development and Operations department released the list of four projects eligible for the revamped CCHIP, and we, like other media outlets, reported on them. They are the Museum Reach Lofts, Cattleman Square Lofts, Augusta Apartments and The Villas at Museum Reach. Since then, I’ve asked CCDO if other developers have applied for CCHIP incentives since Jan. 2, to try to gauge the level of interest from developers in the new policy—because the revised policy offers less subsidies to developers. For example, whereas a developer would receive a full rebate on city property taxes under the old CCHIP, now they’d receive 75 percent back, while 25 percent feeds into an affordable housing fund. CCDO told me last week they’d get back to me on other applicants. For now, here’s a deeper dive at the incentives each of the newer projects are due to receive under the new CCHIP. [ Editor’s note: Typically, CCDO provides an estimated value for the tax rebate over the term, which is either 10 or 15 years, depending on the location, using a method that’s been explained to me, but that I’m still trying to comprehend, to be honest. For these projects, CCDO has released the rebate’s worth for only the first year. Under the new incentives policy, CCDO is working on a CCHIP applicant database it says it will put online in February. I’ll explore more the full estimated value of the tax rebates then. » Location: Southeast corner of West Jones Avenue and North St. Mary’s Street. • 75 percent rebate on city property taxes over 10 years (estimated rebate is $34,600 the first year); 25 percent of its city property tax obligation will feed into the affordable housing fund (estimated at $11,500 the first year). 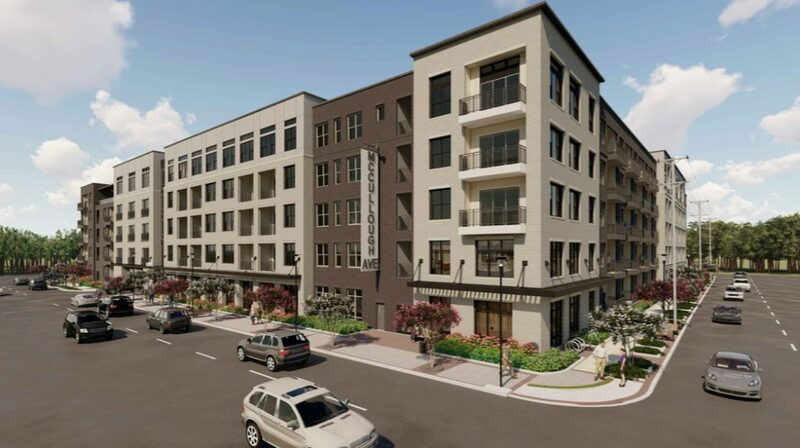 » Other incentives: $2.8 million reimbursement grant from the Midtown Tax Increment Reinvestment Zone; 9 percent low-income housing tax credits worth an estimated $10 million after they’re sold to investors. 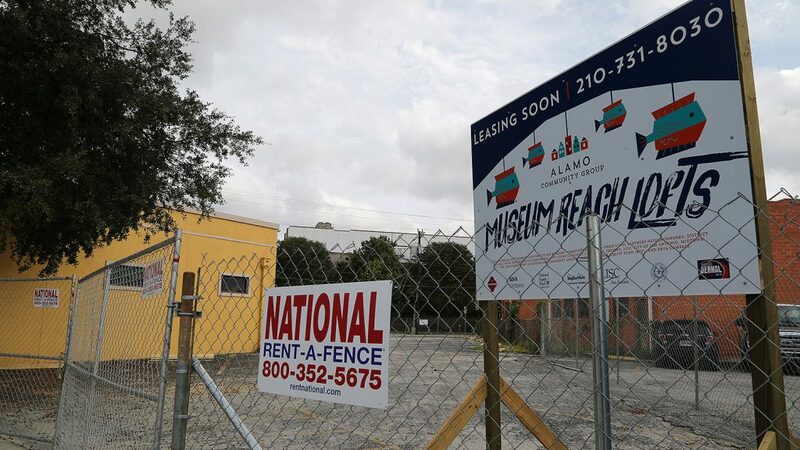 » Location: 811 W. Houston St.
• 75 percent rebate on city property taxes over 10 years (estimated rebate is $55,800 the first year); 25 percent of its city property tax obligation will feed into the affordable housing fund (estimated at $18,600 the first year). 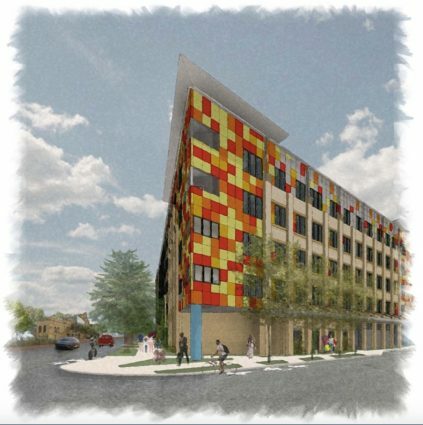 » Other incentives: Alamo Community Group is pursuing 4 percent low-income housing tax credits. Estimated value unknown. » Location: 819 Augusta St.
• 75 percent rebate on city property taxes over 15 years (estimated rebate is $154,300 the first year); 25 percent of its city property tax obligation will feed into the affordable housing fund (estimated at $51,400 the first year). 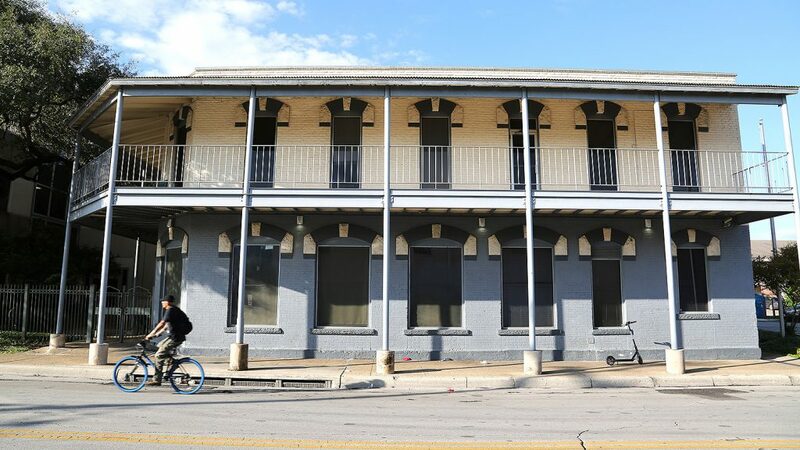 » Location: 920/922 Dallas St.
• 75 percent rebate on city property taxes over 10 years (estimated rebate is $12,700 the first year); 25 percent of its city property tax obligation will feed into the affordable housing fund (estimated at $4,200 the first year).